Jon Mulford admits he’s no longer a resident of Colorado sprawling 3rd Congressional District, having sold his property in the Roaring Fork River Valley and moved to Arizona. 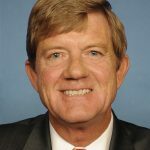 Still, he gets newsletters from his former congressman, Republican U.S. Rep. Scott Tipton, and Mulford likes to stay on top of the issues germane to his former Western Slope stomping ground. “Dear Rev. Mulford: Thank you for taking the time to contact me regarding the national debt. This dialogue is important to me as your representative in Washington, and I appreciate your input,” Tipton wrote. Mulford, who says he is not a reverend, was shocked to see Tipton, who rose to power in 2010 as part of the anti-Barack Obama Tea Party wave, appear to criticize current President Donald Trump and his own Republican Party. 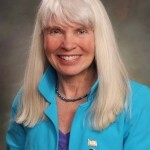 So he sent the response to Tipton’s Democratic opponent in the Nov. 6 election, former state legislator and Routt County commissioner Diane Mitsch Bush. Mitsch Bush immediately pointed out that by voting in favor of the current budget as well as the 2017 GOP tax reform bill, Tipton participated in increasing the national debt by nearly $2 trillion, although Republicans hope that booming economic growth will offset the debt increase. Tipton has studiously avoided criticizing Trump, before and after the 2016 election, and so a direct call-out on national debt would be extraordinary. But alas, all it took was one quick email to Tipton’s congressional office to find out that what Mulford received was meant as a criticism of the Obama administration. Thank you for taking the time to contact me regarding the national debt. This dialogue is important to me as your representative in Washington, and I appreciate your input. The reason I ran for Congress is because I am passionate about solving the problem of our growing national debt and the effect it has on our current and future citizens. I am working hard in Washington to make reforms and changes to federal government spending that will restore fiscal responsibility while ensuring that vital programs are still available for our children and grandchildren. I have previously supported various versions of a balanced budget amendment and have repeatedly voted for budgets that, should they be adopted, would balance the budget and start paying down the national debt within ten years. The President and his party continue to introduce and support budgets that irresponsibly spend more taxpayer money, pile on more debt and never balance – ever. I will continue to fight to rein in Washington’s spending addiction and shrink the size and scope of the federal government, so that we may pass on a better country to our children than the one we inherited. As always, I welcome the opportunity to communicate with you regarding issues impacting Colorado. For your convenience, you may sign up to receive regular email updates from me on matters important to the 3rdCongressional District at http://tipton.house.gov. Please do not hesitate to contact my office if I can ever be of any assistance. Washington has a spending problem. The federal budget is broken down into two categories— mandatory and discretionary. Spending on mandatory programs is automatic every year, whether the federal government has the money to pay for it or not. Discretionary spending goes through the annual appropriations process and includes funding for federal agencies. In 1965, mandatory spending accounted for 34% of the federal budget. In 2018, it accounts for 70% of the budget. 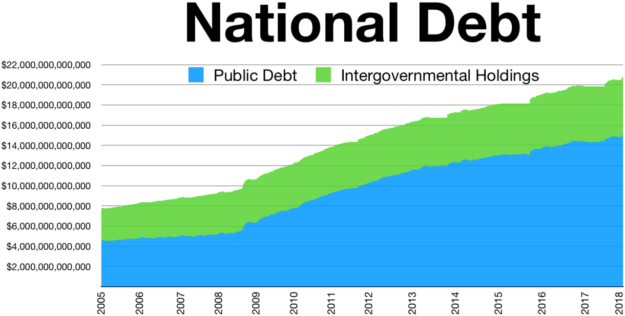 I believe that the best approach to addressing the national debt is to increase revenues while considering reforms to mandatory spending that ensure long term sustainability of important mandatory programs. With the current Administration, we have worked in the House to jump start the economy and expand the tax base by successfully removing unnecessary and duplicative regulations that were costing the economy billions and passing long-needed tax reform (H.R. 1, the Tax Cuts and Jobs Act) into law to make American businesses more competitive in the global economy, encourage small business growth and hiring, and allow hard working Americans to keep more of their income. The results of these policies have been strong, with the highest small business optimism index rating in 45 years, low unemployment levels, and increasing wages. Increased economic activity and investment will fuel an increase in federal revenues, helping to reduce deficits. We must also address the issue of improper federal payments and enact reforms that ensure long term viability of mandatory programs. According to the Office of Management and Budget, the government made $1.35 billion in improper payments in 2017 to mandatory and other programs; and according to the Congressional Budget Office, absent reforms, Medicare and Social Security are on the path to bankruptcy in the next decade. These programs are an important safety net for the people who paid into them them whole lives, and we cannot let them disappear. We must act to ensure their sustainability for future generations. I will continue to fight for commonsense reforms in every spending bill that I consider in the House. We must continue to work to shrink the size and scope of the federal government and fight Washington’s spending addiction so that we may pass on a better country to our children than the one we inherited. I welcome the opportunity to communicate with you regarding issues impacting Colorado. For your convenience, you may sign up to receive regular email updates from me on matters important to the Third Congressional District at http://tipton.house.gov. Please do not hesitate to contact my office if I can ever be of any assistance. December 1, 2017, I received a copy of the same “The President and his party continue to introduce and support budgets that irresponsibly spend more taxpayer money, pile on more debt and never balance – ever.” canned letter from Mr. Tipton’s office. First off, it appears that Mr. Tipton is a hypocrite. Second, it is ridiculous that one year and eight months into the Trump administration, Mr. Tipton’s office is still sending out form letters from the Obama days. Apparently constituent communications, including these pathetic form letters, is not a priority. Sad.